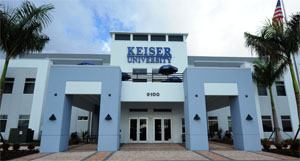 Keiser University Ft. Myers is located off of I-75 at exit 138. The Admissions, administration, academic affairs, student services, and financial services departments are available to assist you at this location, which is staffed full time and offers a pleasant academic environment. Amenities include spacious classrooms, computer and medical labs, library with internet-enabled computer workstations, comfortable lounge area, student services information and career center, and on-site parking. Keiser University uses state of the industry instructional equipment which meets program standards and learning objectives. 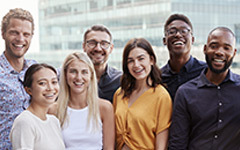 At the Ft. Myers campus of Keiser University, students benefit from the philosophy of combining hands-on practical collaborative learning to their academic experience. At Keiser University “students come first”. We are located directly off I75 exit 138 MLK follow by an immediate right onto Forum Corporate Parkway ending at 9100 Forum Corporate Parkway.